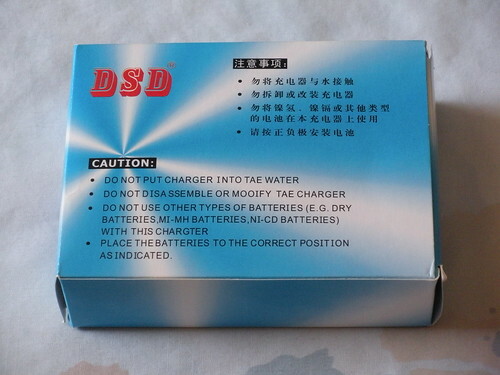 This is the back of the box containing the lithium-ion battery and the charger, which were included with my Wicked Lasers "Spyder I Pro" portable laser. Note the poorly translated English. Update: I've improved the lighting on this photo.